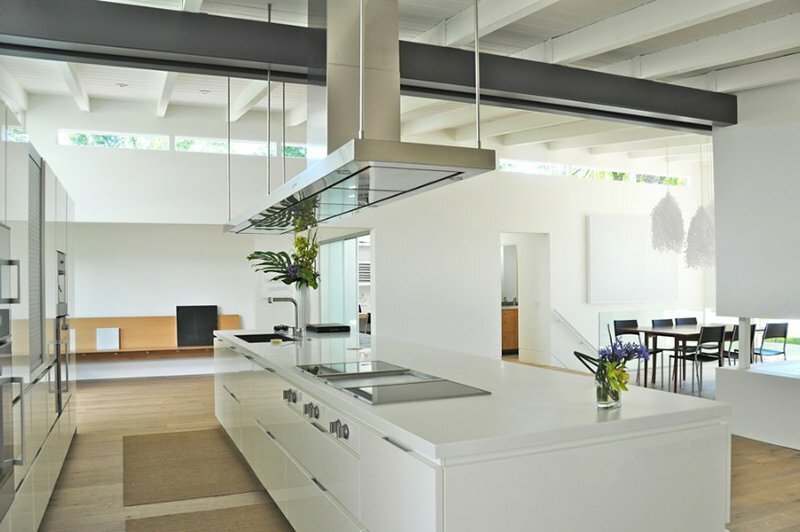 Take a look at how a range hood can bring beauty to a modern kitchen. 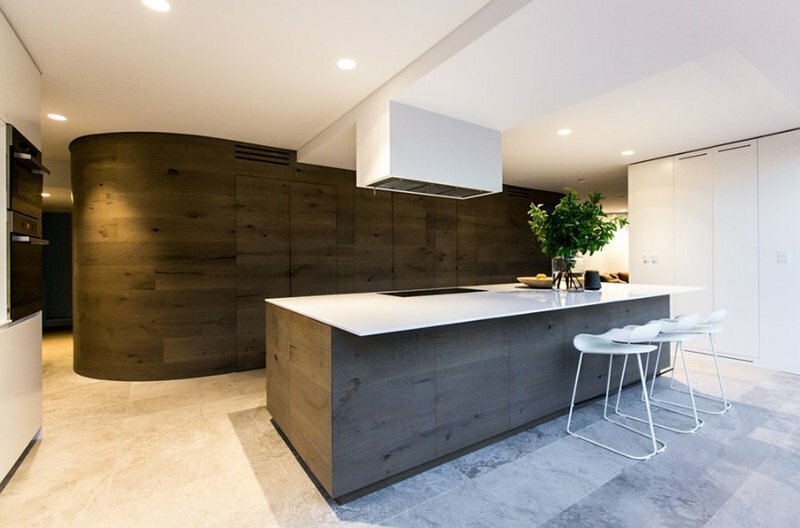 Whether the homeowner loves cooking or not, the kitchen always ends up with a beautiful design. We are not sure if this is true to everyone but many people consider the kitchen as a mirror of one’s attitude towards cleanliness. Once the kitchen is clean, it manifests that the person living in it has a high regard for health and sanitation. 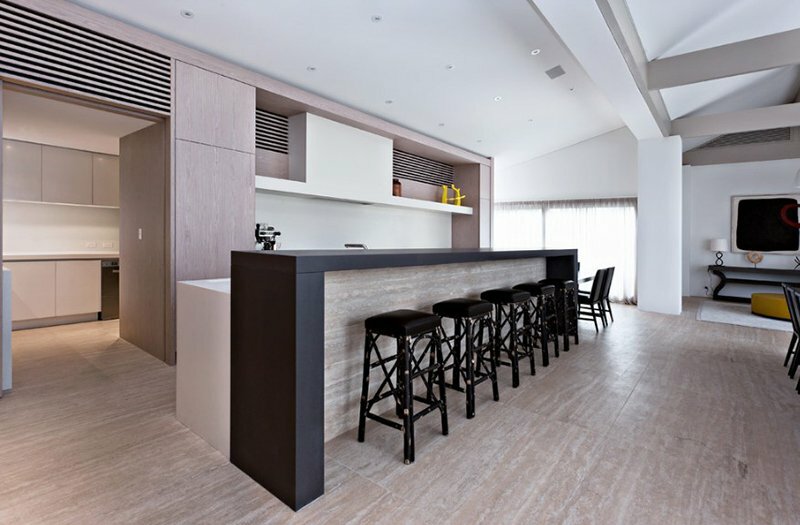 Aside from maintaining everything clean, the kitchen also needs to be well-organized and of course, beautifully designed. All the features in the kitchen actually has a great impact on the look of your kitchen, just like the range hood. Some people might think that the range hood is there just for its function. Although the primary reason why a range hood is added to a kitchen is to get rid of fumes, airborne grease, odors, heat, smoke, combustion products and steam, it can also bring some beauty to your kitchen. This helps filtrate the air while cooking through a mechanical fan and a charcoal filter inside it. 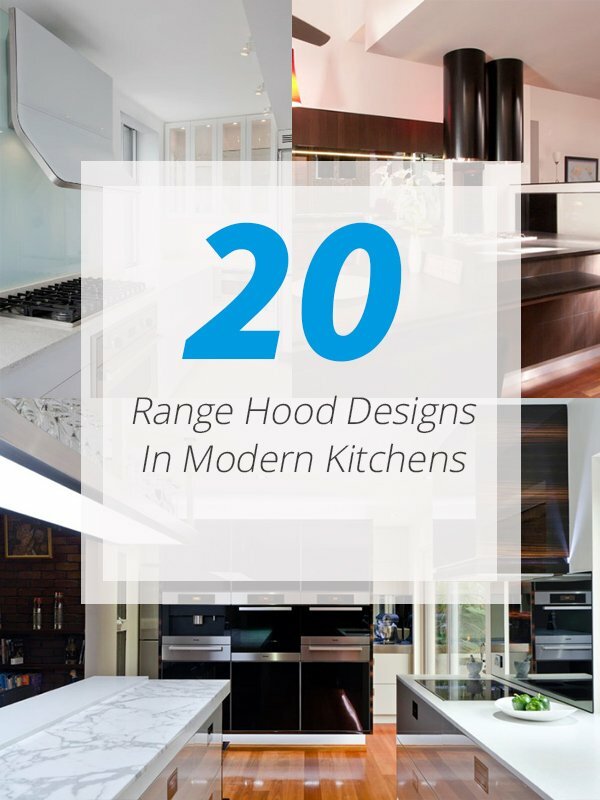 But apart from that, the range hood can add appeal to your kitchen especially if it has a design the same as the ones we have on this list. 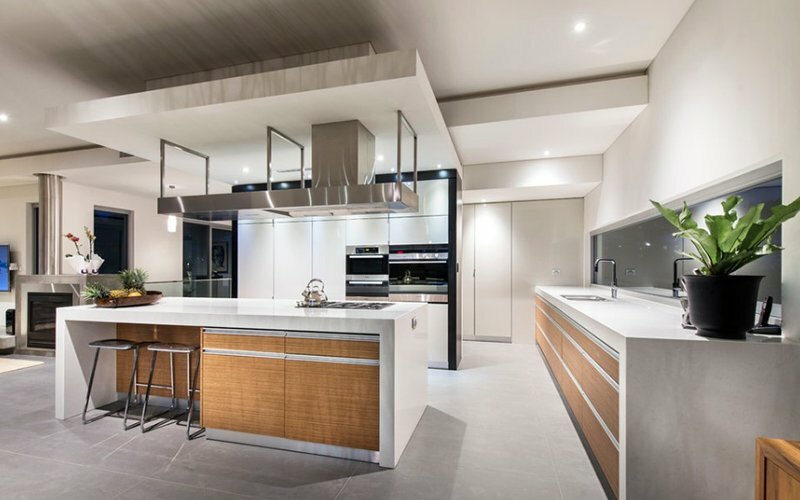 Take a look at the modern kitchens below and you will no doubt envy the designs of the range hoods in these spaces. This home has a trendy U-shaped kitchen design with flat-panel cabinets, gray cabinets, white backsplash, black appliances and an island. 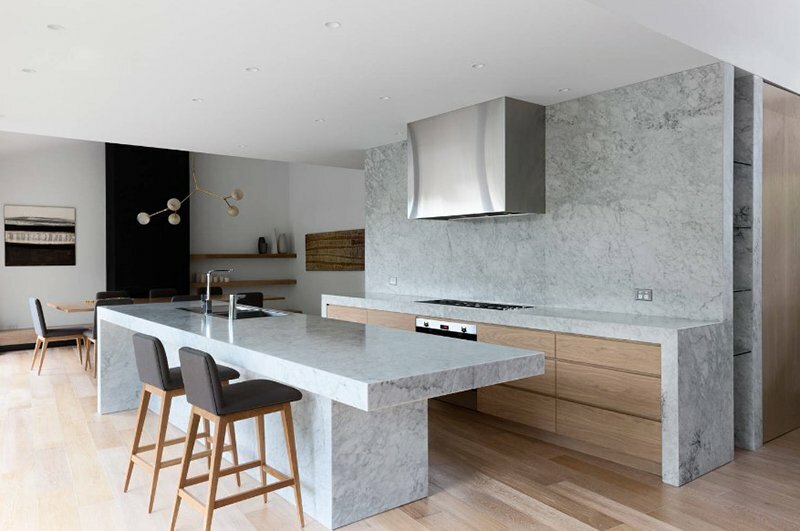 And of course, notice the range hood with a marble-like design. When metallics is brought to a kitchen like copper, brass, gold and others, it will add an attention-grabbing element to it just like what this range hood can do to the space. Aside from that, you will surely like its cylindrical design. 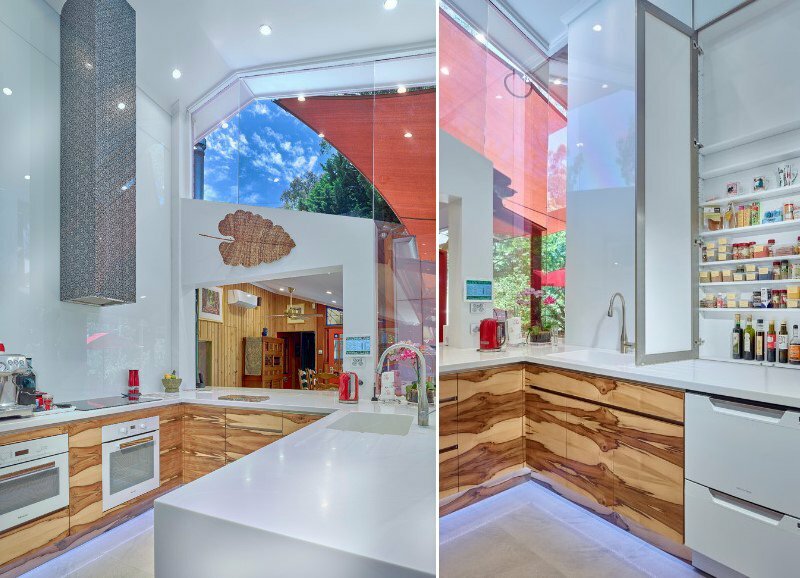 If you will see the design of the entire kitchen, you will surely admire it because of how creative it looks like. And the range hood also is uniquely covered with a modern pattern that adds beauty to the kitchen. When done this way, the range hood of this kitchen is concealed. It just looks like an additional cabinet aside from the wooden ones. For a neat and sleek range hood, one can use this one which is from QASAIR Indoor Range hoods. It also adds some metallic feature in the kitchen too. 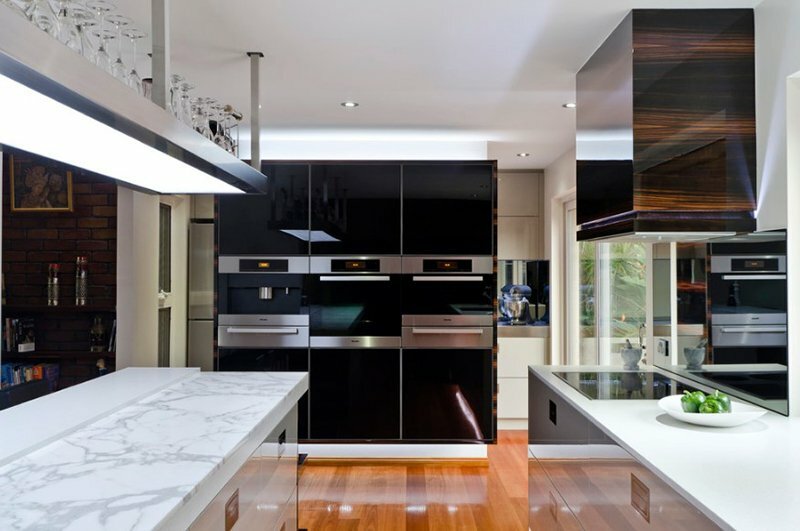 Seen here is a mid-sized modern galley kitchen with an under mount sink, flat-panel cabinets, white cabinets, medium tone hardwood floors, an island and glass sheet backsplash. So, where is the range hood here? Like the previous kitchen, this one also has a concealed range hood. A Scandinavian mid-sized open concept home with white walls and light hardwood floors. The kitchen also has a wooden feature in its counter and on the range hood. 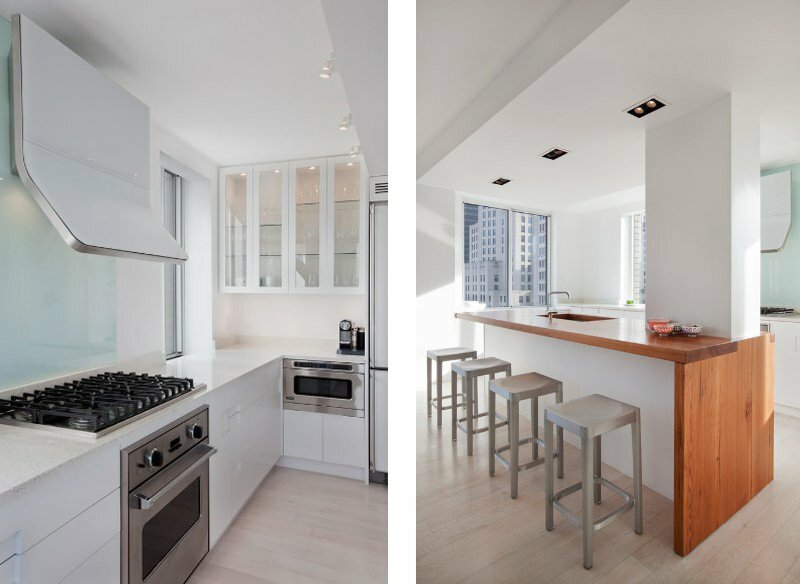 The range hood of this large trendy galley kitchen is similar to the previous entry only that it is white in color. 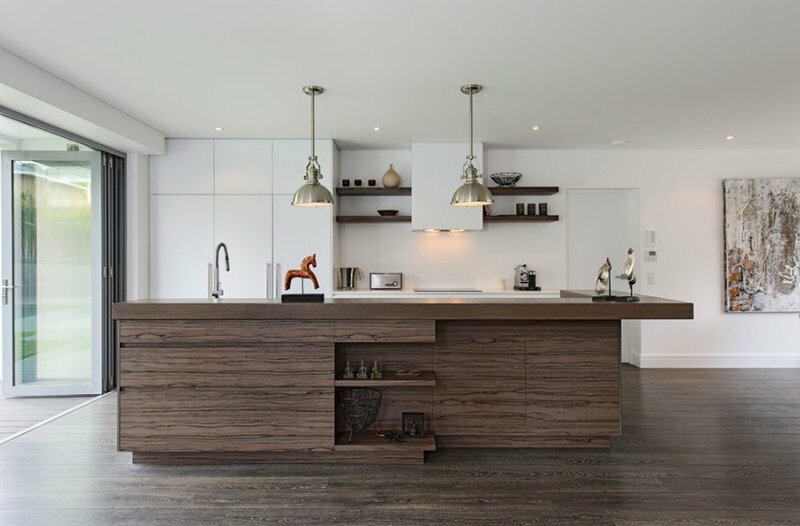 Isn’t this an inspiring contemporary kitchen? 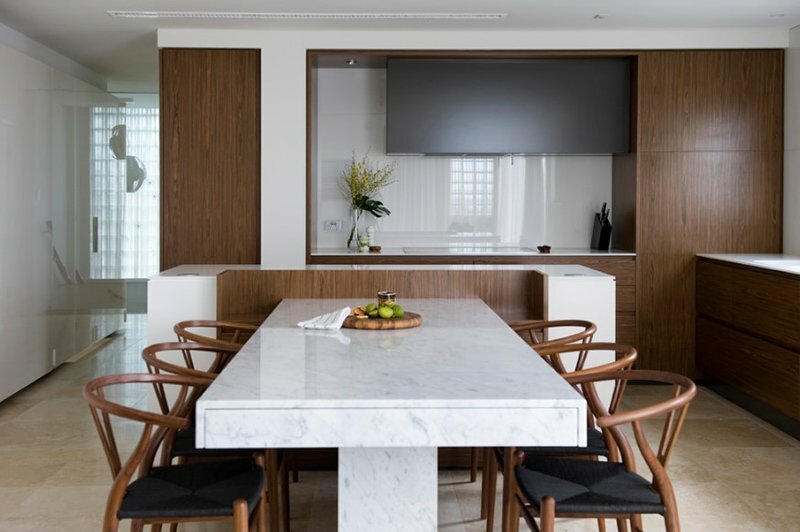 The space used flat-panel cabinets, white cabinets, stainless steel appliances, cylindrical range hood and a large picture window which gives a good view of the outdoor area. 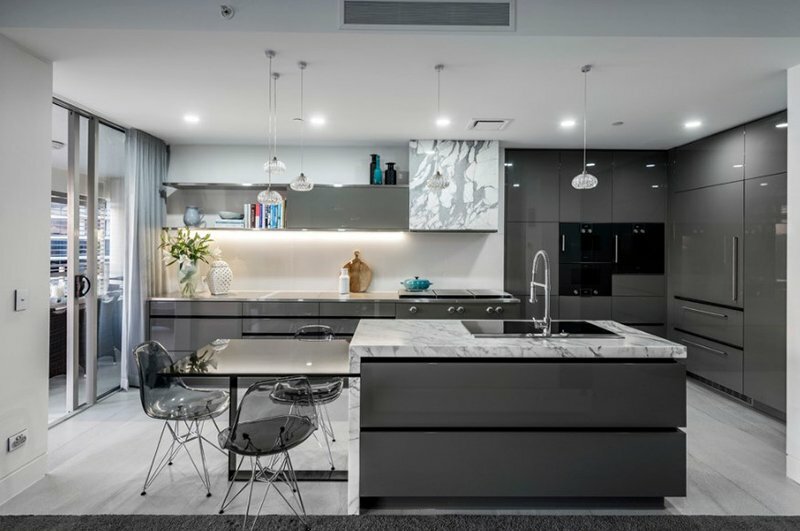 A sleek Melbourne kitchen with a simple color palette that makes the space feel light and open, enhanced by the mirrored range hood. Who wouldn’t fall in love with this trendy galley eat-in kitchen? 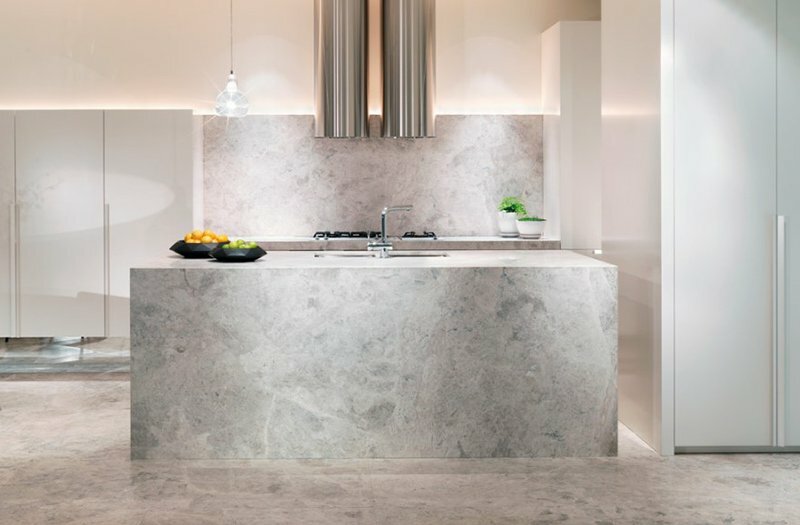 It features a drop-in sink, marble countertop, stone slab backsplash, and other modern elements. If your cooktop is on the kitchen island like this, a larger hood vent similar to the one in the picture will the perfect choice. Another range hood that brings smoke out of the house. This design is perfect for the kitchen which has a neat look. 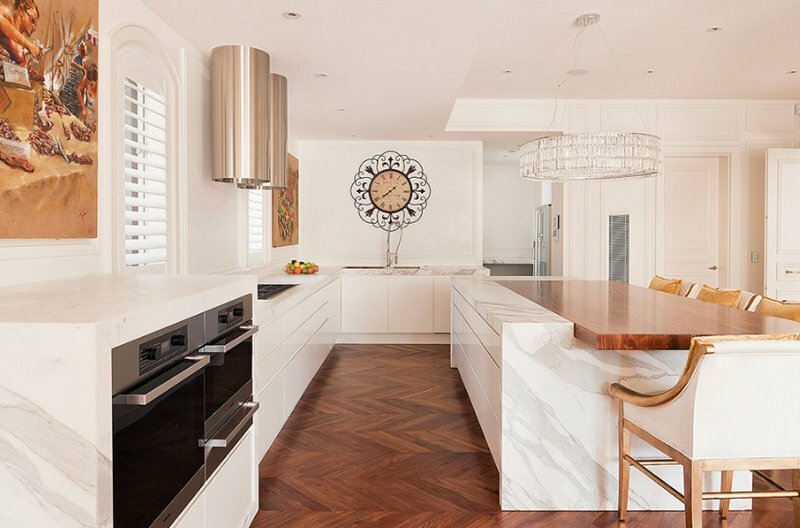 This industrial inspired kitchen features the combination of a timber island with recycled timber bench top frame and a white sleek background. 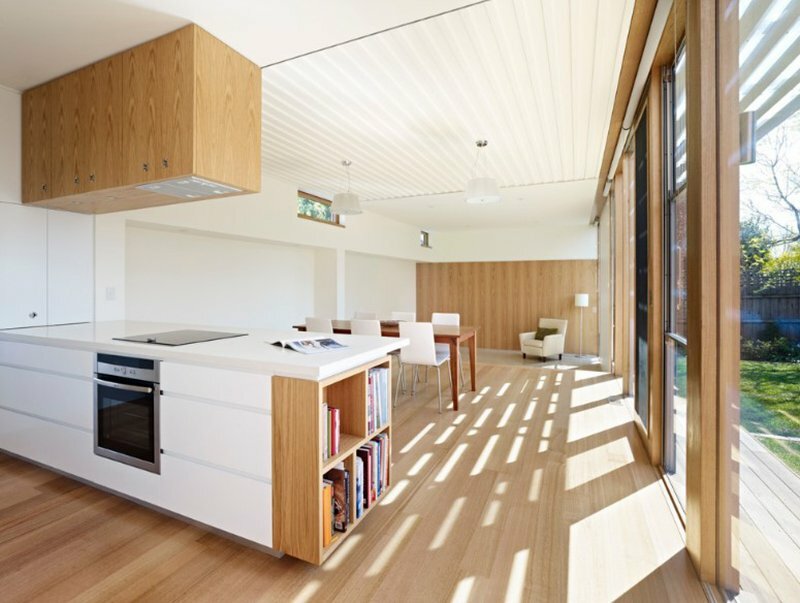 The kitchen island houses concealed drawers and cupboards. Its exhaust hood is also white which is the same as the cabinets. 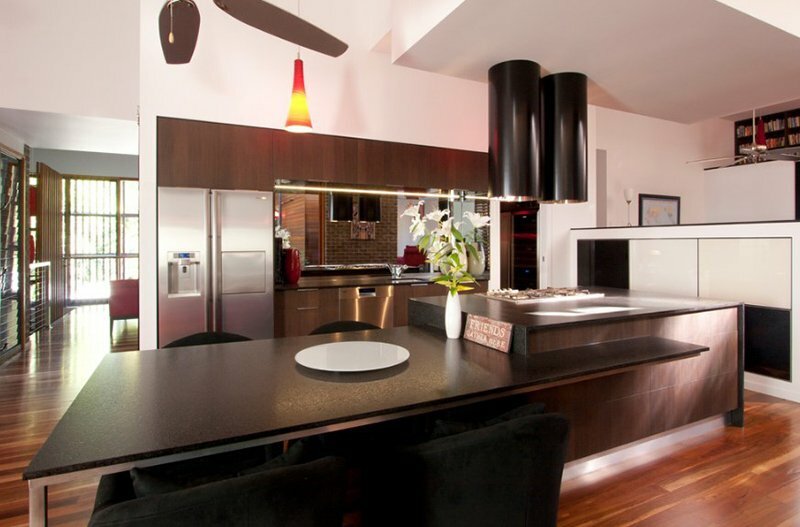 The black cylindrical range hood in this kitchen matches with the look of the entire area. 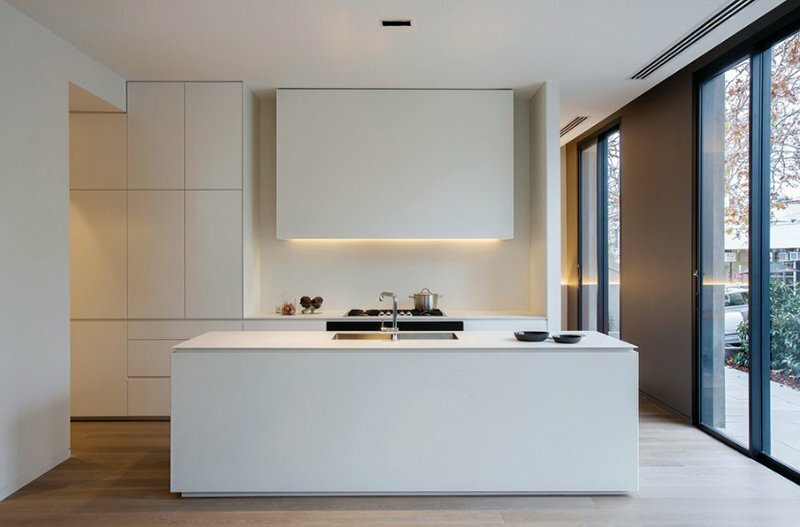 A contemporary single-wall open concept kitchen with an under mount sink, flat-panel cabinets, white cabinets, and a white range hood that has a T-design. 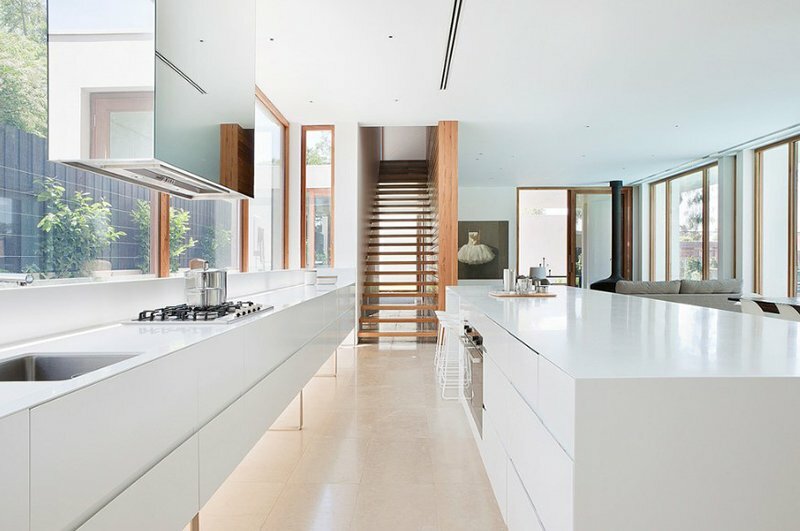 This modern white kitchen has a clean sleek look with high sheen surfaces that is easy to clean. 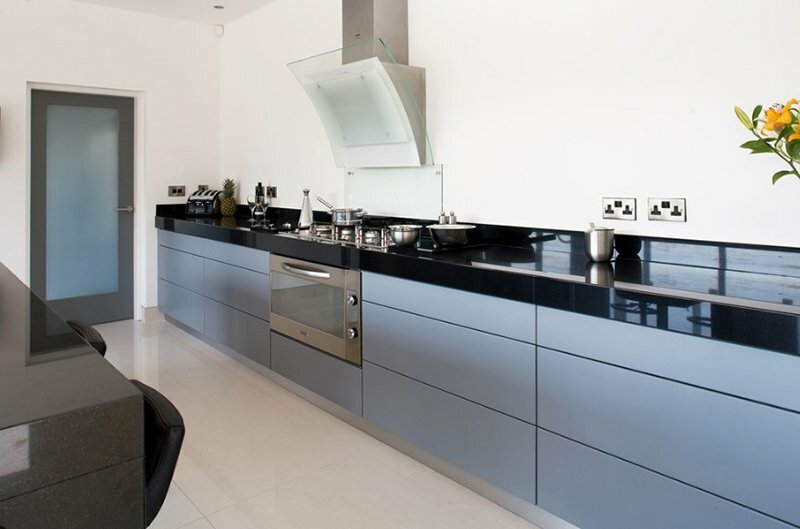 Also featured here are a granite kitchen top and an extractor fan which is concealed in the cabinet. A beautiful and luxurious kitchen which has an exhaust hood with a wooden finish that matches well with the other elements in the kitchen. 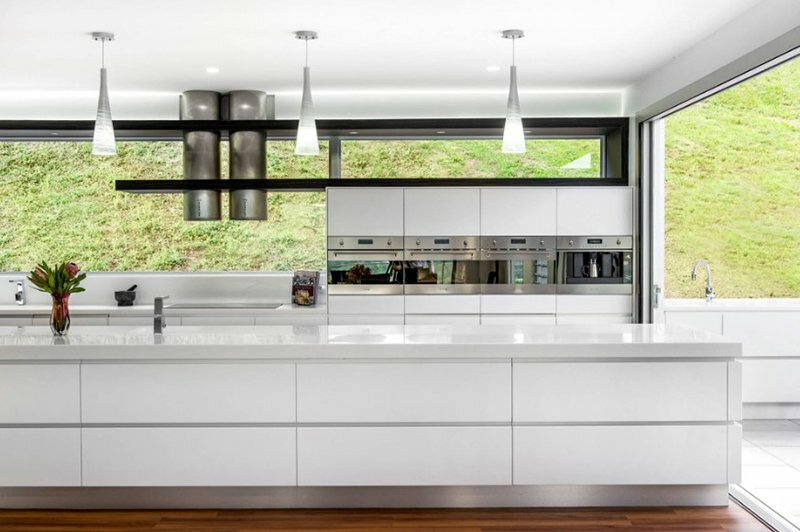 Of all the range hoods, this one is the most distinct because of its sleek minimalist design. 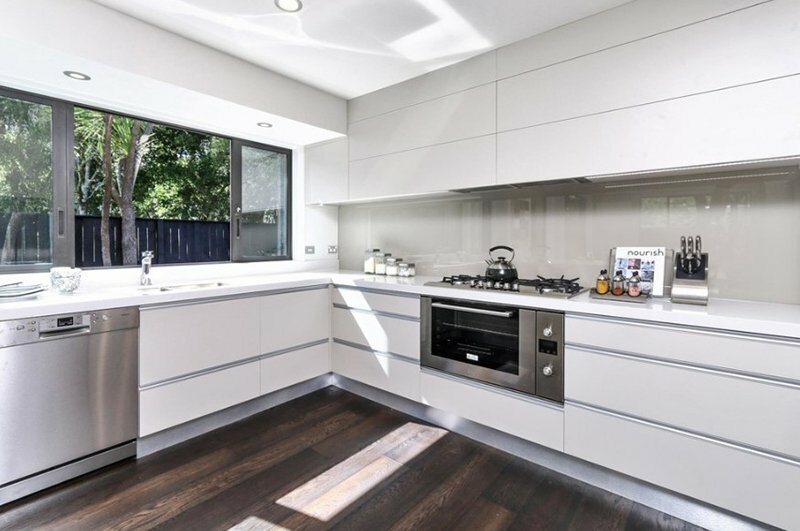 This kitchen has glass-front cabinets and white cabinets. After seeing this list, you will realize that a range hood actually varies in design and could bring an appeal to your kitchen apart from its function. You have seen how the above kitchens achieved a unique look because of the range hood. It also brings a unique design element to the entire space. Indeed, it isn’t just our backsplash or your kitchen countertop that brings style to your kitchen but even your range hood can do that job. Which of the above kitchens do you like the most?